The mosquito-borne parasites that cause malaria were wiped out in Israel several years before the state’s founding in 1948. So why did leading malaria experts choose Jerusalem as the place to meet last week to formulate a new strategy for African nations? Because the tactics that proved successful here in the 1920 and 1930s, coupled with new technologies, could be exactly what sub-Saharan Africa needs to address its malaria epidemic, which causes the death of a child every 30 seconds. Some 250 million people worldwide are infected by the parasite. Despite billions invested in malaria vaccine research and mosquito netting, the problem persists and may even be getting worse, says public-health and medicine historian Maureen Malowany from the Hebrew University-Hadassah Braun School of Public Health. Malowany tells us that back in the 1920s, Mandatory Palestine faced an enormous malaria epidemic. Quinine could ease symptoms, but nobody knew how to stop the disease at its source. “In comes Israel J. Kligler, who arrived from the United States in 1921 with a doctorate in microbiology,” says Malowany. Before his death in 1944, Kligler succeeded in eradicating malaria through a multipronged approach that included not only draining marshes, spraying larva-infested areas and introducing new treatments, but also improving housing conditions and mounting a vast community education effort. The precursor of today’s World Health Organization (WHO) called Kligler and his colleagues “benefactors not only to the Palestinian population but to the world as a whole.” Members of the League of Nations’ Malaria Committee were so impressed with Kligler’s inroads that they proposed taking his model across the globe. Finally, in answer to a plea from African scientists, in 1997 WHO announced a “Roll Back Malaria” campaign. It relied heavily on bed nets, which reduced child mortality from malaria by 60 percent but once again ignored the source. “When nets became the darling of the funders, countries no longer allocated funding for mainstream malaria control at the larval level,” Malowany says. It was not until 10 years later that the Bill & Melinda Gates Foundation pumped new money and energy into national malaria elimination programs in sub-Saharan Africa, and vaccine research that has not borne fruit. Meanwhile, there is resistance to new synthetic drugs as seen in Cambodia. The international “Revisiting Malaria: Moving from Control to Sustainable Elimination” conference convened at the Hebrew University of Jerusalem from December 8-12 to consider a “back to the future” approach. Representatives from Gabon and Zanzibar were there to see what conclusions they could bring back home, where anti-malaria efforts have been only partially successful. 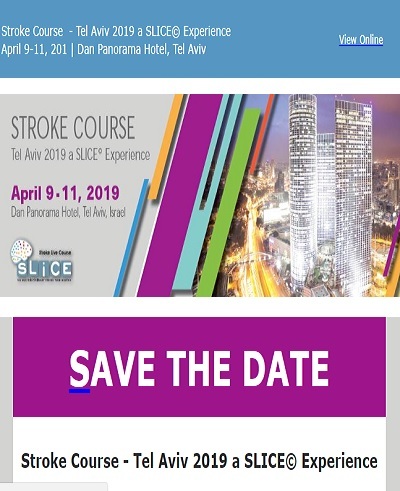 The event was organized by the Braun School and the Kuvin Center for the Study of Infectious and Tropical Diseases at the Hebrew University of Jerusalem. The Jewish National Fund/Keren Keyemeth LeIsrael was one of the sponsors. Malowany co-chaired the conference with mosquito-borne disease authority Bart Knols, chair of the advisory board of the Dutch Malaria Foundation. Israeli researchers presented their work in various aspects of malaria research. One of the presenters was Prof. Ron Dzikowski from the Kuvin Center, who won a Gates grant for his team’s work in understanding the genetic mechanism that enables the deadliest malaria-causing parasite to bypass the immune system and resist drug therapies. New larva-killing agents are another critical tool to add to the box. “If we can show that the tools and strategies can bring the incidence of malaria to zero on Pemba Island, this would be a success story that can be taken to the world,” says Malowany.